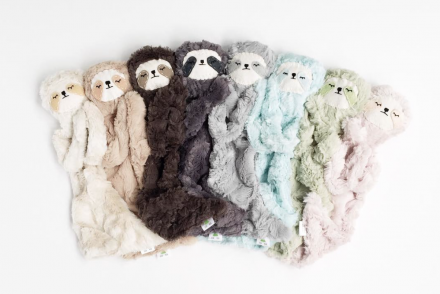 Swaddle blankets have quickly become the accessory for parents and babies. 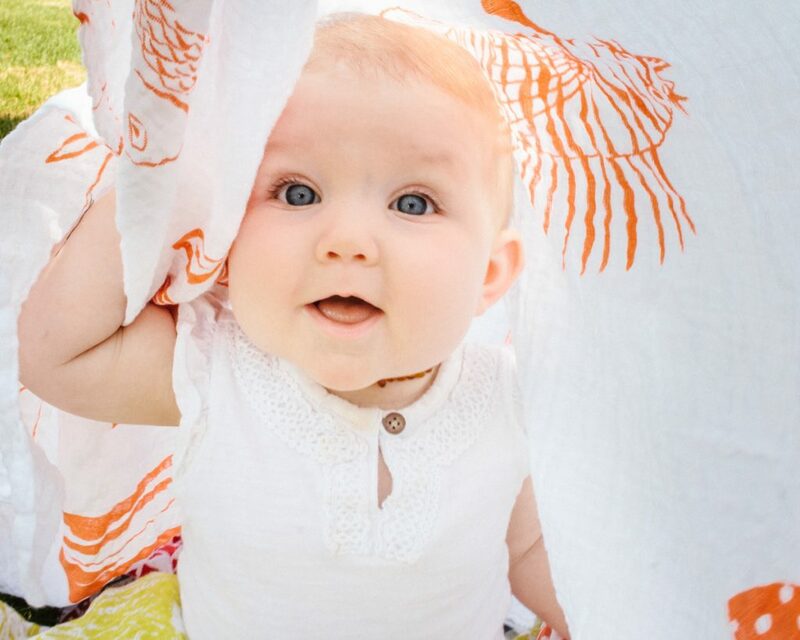 Because of this trend, there is a vast plethora of great swaddle options. You can tell a lot about parents from the print of their swaddle blankets. Are they classic, are they funky, are they ironic? 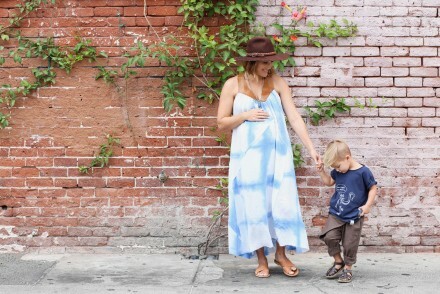 All of these questions can be answered by the soft muslin fabric draped over their stroller. For Chelsea Tillett, being covered in spit up, drool, and *other* bodily fluids meant she needed a swaddle that fit her style. 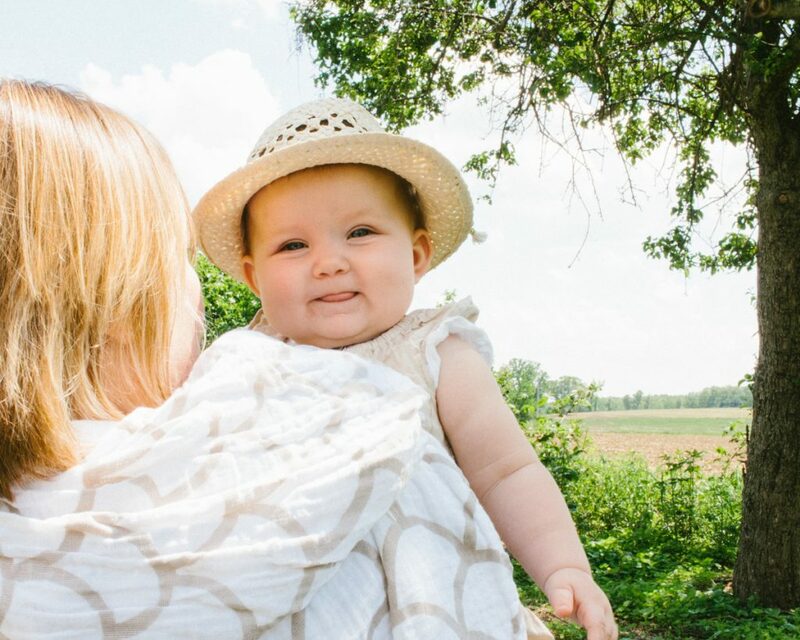 As a new mom, the first months of my daughter’s life were spent in a blur of constant laundry. During one of those milky days, I was nursing her and staring at a trite monkey pattern on our third clean swaddle of the day thinking she doesn’t know what a monkey is, but here I am wearing this thing. This sprung Chelsea into action. As the daughter and granddaughter of silkscreen printers, creative design is in Chelsea’s blood. 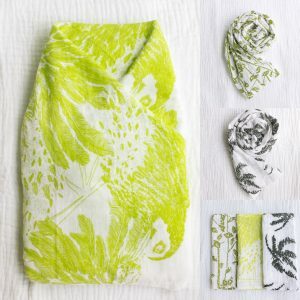 She decided to create her own line of children’s textiles, fondly named tinyT Textiles. For any textile aficionados out there, the Tillett name may ring a bell. Chelsea’s grandparents, DD and Leslie Tillett, were the cream of the crop in their heyday. The two even designed the patterns Jacqueline Kennedy Onassis chose for the White House bedroom! 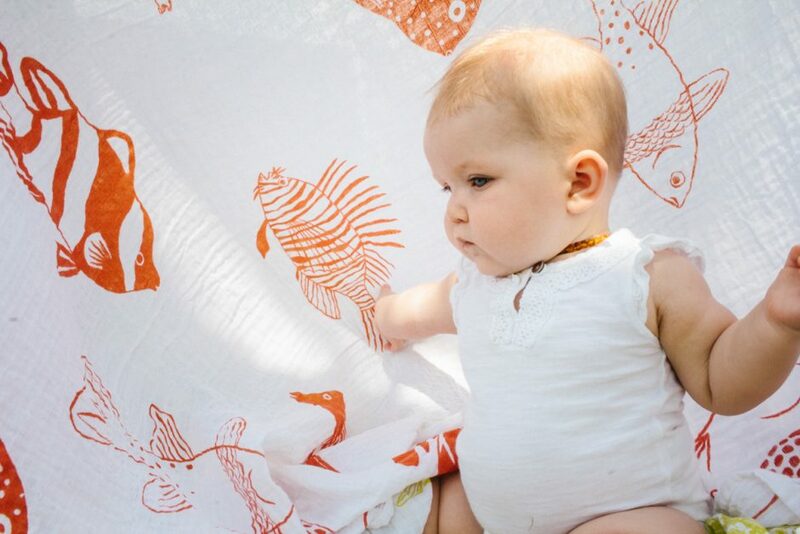 While we may not have the bedroom of a Kennedy, we certainly love wrapping little ones in tinyT! 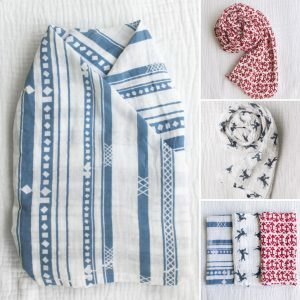 These muslin swaddle blankets are as classic as Jackie O. In addition to carrying on her family’s incredible legacy through tinyT, Chelsea takes the time and effort to hand print everything in the shop. From swaddle blankets to onesies, none of the work is automated or made anonymously in a factory. I wrap my daughter in these swaddles and take the responsibility of their quality very seriously. 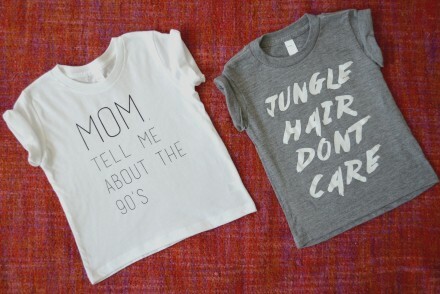 Everything in the tinyT collection is hand printed, which means a lot of love gets poured into each one.